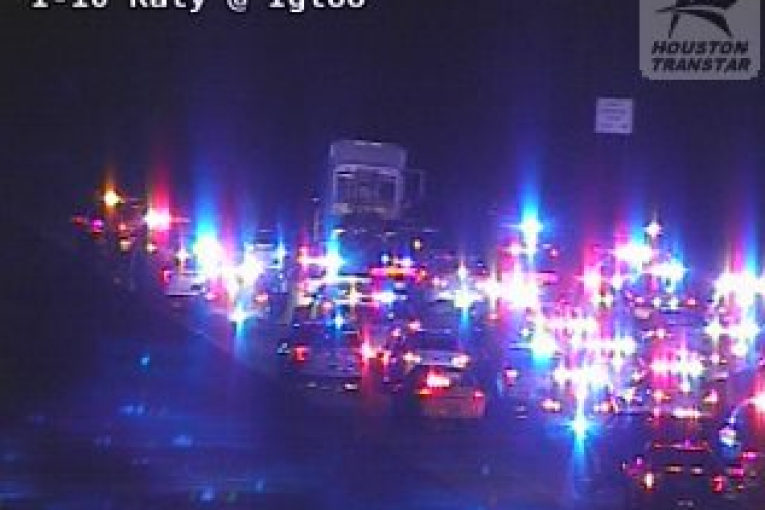 HOUSTON, Texas (KTRK) — A man driving an 18-wheeler cab took deputies on a wild chase for more than an hour while a woman and two children were inside. Transtar cameras captured part of the chase just before 11 p.m. Monday in west Harris County. The Harris County Sheriff’s Office said an off-duty deputy called in a possible drunk driver at Queenston and Clay Road. Deputies found the big rig and tried to pull the driver over, but he kept going. Deputies deployed several spike strips, but the driver refused to stop, driving on the rims. 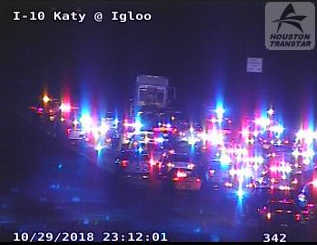 A massive cloud of sparks could be seen lighting up the truck as the driver started slowing down to a stop on Katy Freeway near Igloo. “He’s losing more tires, more tires. Tire debris everywhere,” a 911 dispatcher is heard saying. ABC13 received several videos from Eyewitness News viewers who saw deputies chasing the big rig down the highway. At one point, the sheriff said the man tried to hit one of the deputies with the truck. Deputies eventually arrested the man. The woman and two children, ages 1 and 8, in the truck were not injured. Sheriff Ed Gonzalez said he’s had enough of the reckless driving around the county. “It could’ve ended a lot worse. People need to be more responsible for their actions. It’s bad enough when it’s just a motor vehicle, but this time you’re talking about a heavy duty vehicle. It could’ve been very bad,” Gonzalez said. The driver faces several charges, including DWI with a child passenger, evading and aggravated assault.